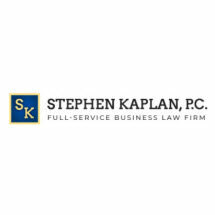 Since 1998, the law firm of Stephen Kaplan, P.C., has served the legal needs of small to midsized businesses throughout the Dallas area. We guide businesses through the many types of legal issues they face. By offering experienced representation in both litigation and transactional matters, we make it easy for businesses to get the legal help they need. Our practice encompasses everything from business formation to ongoing operations to dissolution — and the countless types of disputes that can arise in between. As a small practice, our firm takes a client-centered approach to all we do. Our small size gives us the flexibility to address clients' needs in an efficient, cost-effective manner. It also allows us to readily adapt in meeting the challenges of fast-paced industries and fluctuating market conditions. In all legal matters, we offer prompt and responsive service. We invite you to learn more about our practice by calling 214-346-6048. Conveniently located off North Central Expressway in Dallas, we serve clients throughout the DFW Metroplex and surrounding areas.